Young actress who played Sylvia in the old movie, 'Skies of Aquaria', based on a legend about Aquarion. 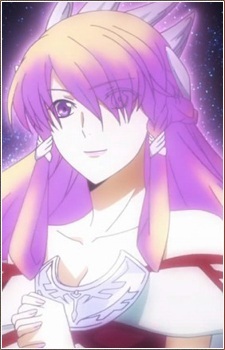 Her abduction by Izumo a few years before the storyline was the first attempt to repopulate planet Altair, but it failed, because right after leaving Earth Alicia fell in coma and hasn't wake up till now'. Recently revealed to be Amata's missing mother.